The Australian Competition and Consumer Commission said the RSP made the changes after it raised concerns about the claim. “We were concerned that Aussie Broadband’s statements might lead consumers to believe that Aussie Broadband’s services would not ever experience congestion, when that was not the case,” ACCC chairperson Rod Sims said in a statement. “Our own observations from the ACCC’s Measuring Broadband Australia program indicate that all broadband providers experience congestion from time to time, although the extent of congestion depends on how well networks are managed, and some are better than others,” Sims said. The RSP made the claim on a website banner from at least 30 January to 11 July this year, the ACCC said. The most recent figures released by the ACCC as part of Measuring Broadband Australia found that of all the RSPs measured, Aussie Broadband had delivered the best download speeds during peak usage periods. The telco’s customers achieved an average 89.1 per cent of the theoretical maximum speed of their NBN connections during the busy 7-11pm period. TPG was in second place, with its customers achieving 85.6 per cent of their plans’ maximum speed, followed by TPG subsidiary iiNet (83.4 per cent), Optus (83.3 per cent), Telstra (79.9 per cent) and MyRepublic (74.4 per cent). 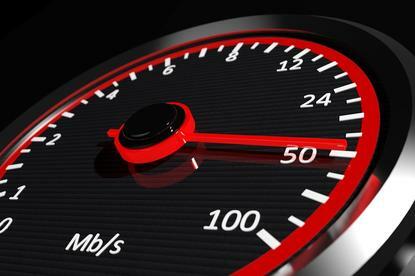 Aussie Broadband also scored best when it came to overall download speeds as a percentage of a household’s maximum plan speed, with an average of 89.1 per cent (followed again by TPG with 86 per cent). The RSP’s managing director, Phillip Britt, said that it had been able to provide the ACCC with extensive evidence of how it manages its network to address congestion. “This evidence was also backed up by the ACCC’s most recent broadband monitoring results, which showed just 0.8 per cent difference between our non-busy and busy period speeds,” he said. Aussie Broadband said it takes a number of steps to manage congestion, including halting sales when customers in an area have hit 80 per cent usage until more bandwidth can be purchased. “We’ll also continue to publish our daily CVC graphs so customers can see transparent evidence of our network capacity and usage,” Britt said.